We wanted you to be prepared for at least one thing this Thanksgiving, so when your family asks what's up with scooters this year, you've got the answers! E-scooters have gained a 70% approval across the US in a little under of year of implementation with an adoption rate of 4% of the population in a matter of months. This compares to it taking rideshare companies nearly 7 years to get to a 39% adoption rate. Yet, even with a higher adoption rate than scooters and bikes, Lyft and Uber have purchased bikeshare companies and began rolling out their own scooters, why? 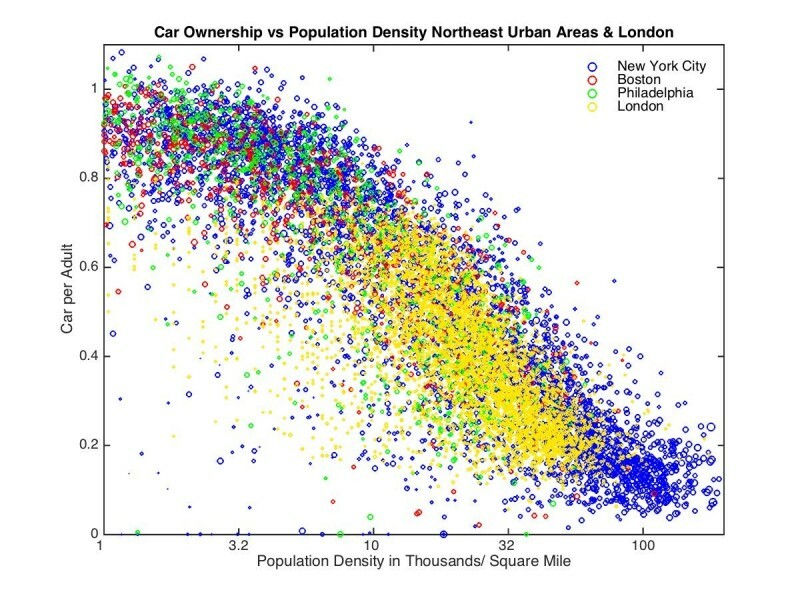 A recent study shared by Greater Greater Washington shows the correlation between higher density urban areas and car ownership. The denser an area is, the less likely people are to own cars because of a proliferation of public transportation. Interestingly enough, all of these cities are vastly different from the next in regards to street design, which has been shown to have a pretty big role in car ownership. But how does this tie into scooters and bikes? It can nod to the theory that urbanites are begging for innovations in transit. Sweet 16's aren't completely consumed with car purchases like they used to be in America — we're looking to a cleaner future that's a little less dependent on single-occupancy vehicles filling the roads. And who are the unlikely partners in this future? Car companies are one of them. Shocking? Well let's think about this. It's not entirely crazy to hear that Ford recently acquired Spin, because becoming multimodal isn't really a question anymore, it seems to be the future. Yes, this also includes autonomous vehicles, which many car manufacturers are also involved in (like these guys). Many people are confident that self-driving vehicles will be quite successful, but the biggest audience that needs to be convinced is the public. While companies like Apple, Google, and Volvo are working to get their self-driving on the streets for public use as soon as possible, e-scooter and bikesharing companies spread two-wheeled transit across more and more land. E-scooters have hit a diverse demographic of riders. 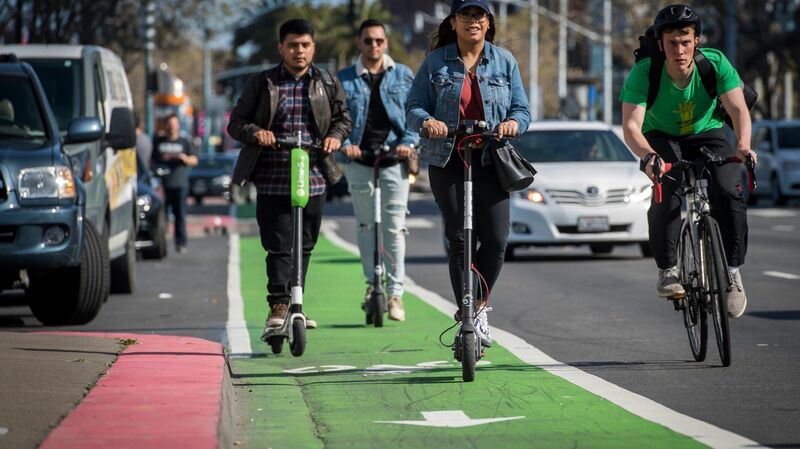 Populus discovered from a recent study that every city they surveyed reported over half of the population reporting positively on the arrival of scooters. The study also suggests that women are taking to scooters faster than other forms of transportation like bikeshare. Not only do scooters seem to appeal to women, but also from everyone to college students, professionals, and parents! They're fast and are working to be accessible to everyone by providing discounted fares to those living in low-income areas. Scooters and bikes have given people another way for people to get to doctor's appointments and job interviews who don't own or have access to a car. Businesses like Bird are putting their money where their mouth is: the streets. Although a majority of the population is crazy about scooters, they're struggling to find where to belong — technically, you can't ride a scooter on the sidewalk, competing with buses and cars on the road can be dangerous, and bikers are complaining about the lack of room in bike lanes for both bikes and scooters. That's why the people behind e-scooters are contributing to increasing and updating bike lanes across the nation. And not just throwing in some extra painted lines on the road, but actual protected bikes lanes that will also contribute to overall road construction in the future (think increased curb spaces, marked parking spots for scooters and bikes, and more room for efficient traffic movement). E-scooters, e-bikes, and bikeshare programs are becoming part of something larger — a change in the way we move not just in America, but around the world. Streets aren't just for cars anymore and the popularity in alternate forms of transit are starting to show that.